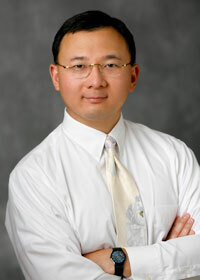 Morgan Stanley’s US Equity Strategy team led by Adam Parker just published their 2013 outlook for the stock market. They’re calling for the S&P 500 to end next year at 1,434. 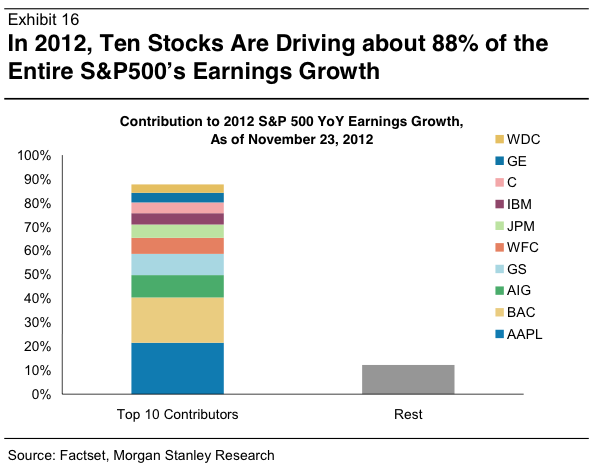 The massive research note included a lot of interesting information about the stock market including this: just 10 companies are accounting for 88 percent of all of the earnings growth in the S&P 500 this year. For 2013, the sources of growth are expected to be much more diversified with the top 10 names driving just 34 percent of growth. Still, the biggest names will play a big role next year. “Notably, Apple, Bank of America, Microsoft, GE, and Google are forecasted to be one-quarter of the entire S&P500’s earnings growth in 2013,” writes Parker. 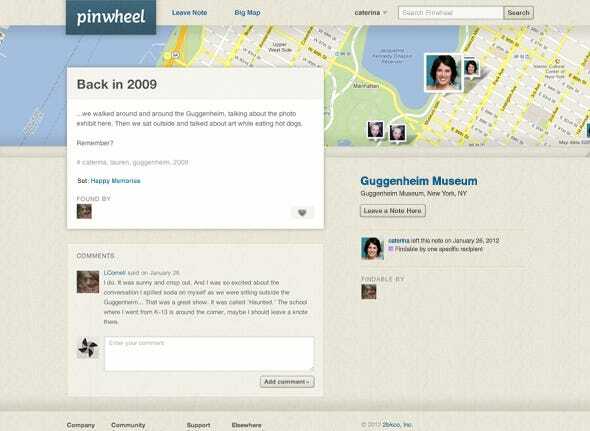 Caterina Fake, who previously cofounded Flickr and Hunch, has launched a new startup called Pinwheel, which lets you leave vitrtual notes around the world. She announced the launch on her personal blog earlier today. Enter the Internet of things, where you can choose to follow people, places or things. The notes you leave can be private, or you can share them with everything and everybody. That seems to be coming soon: Fake wrote on her blog that she plans on building out a notification system so you can get pinged when someone you follow sends out a note. We knew last year that True Ventures, SV Angel and her fund, Founder Collective, invested. As far as making money, Fake is betting on selling sponsored notes. The site is still in private beta — you can sign up here for an invite to try out the web and mobile app. The iOS version is coming up next. The internet is starting to realize something unsettling: our iPhones send information about the people we know to private servers, often without our permission. Some offending apps are fixing themselves. Some aren’t. But the underlying problem is much bigger. Apple allows any app to access your address book at any time—it’s built into the iPhone’s core software. The idea is to make using these apps more seamless and magical, in that you won’t have dialog boxes popping up in your face all the time, the way Apple zealously guards your location permissions at an OS level—because fewer clicks mean a more graceful experience, right? Maybe, but the consequence is privacy shivved and consent nullified. Your phone makes decisions about what’s okay to share with a company, whose motivation is, ultimately, making money, without consulting you first. Once you peel back that pretty skin of your phone and observe the software at work—we used a proxy application called Charles—watching the data that jumps between your phone and a remote server is plain. A little too plain. What can we see? Foursquare and Instagram have both recently updated to provide a much clearer warning of what you’re about to share. Which every single app should follow, providing clear warnings before they touch your contacts. But plenty of apps aren’t so generous. 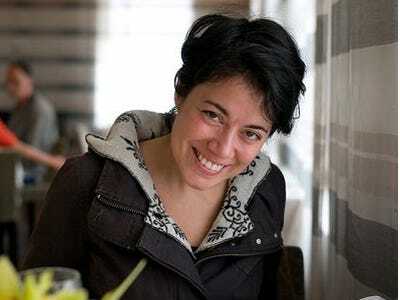 “A lot of other popular social networking apps send some data,” says Haddad, “mostly names, emails, phone numbers.” Instapaper, for example, transmits your address book’s email listings when you ask it to “search contacts” to connect with other friends using the app. The app never makes it clear that my data (shown up top) is leaving the phone—and once it’s out of your hands and in Instagram’s, all you can do is trust that it’ll be handled responsibly. You know, like not be stored permanently without your knowledge. Trust is all we’ve got, and that’s not good. “Once the data is out of your device there’s no way to tell what happens to it,” explains Haddad. Companies might do the decent thing and delete your data immediately. Like Foursquare, which says it doesn’t store your data at all after matching your friends, and never has. Twitter keeps your address book data for 18 months “to make it easy for you and your contacts to discover each other on Twitter after you’ve signed up,” but can delete the data at any time with a link at the bottom of this page. Or a company might do the Path thing, storing that information indefinitely until they’re publicly shamed into doing otherwise. Or worse. We need a solution, and goodwill on the part of app devs is going to cut it. All the ARE YOU SURE YOU WANT TO DO THIS? dialog boxes in the world won’t absolve Apple’s decision to hand out our address books on a pearly platter. iOS is the biggest threat to iOS—and nothing short of a major revision to the way Apple allows apps to run through your contacts should be acceptable. But is that even enough? Maybe not. Freeman’s solution? Cydia’s “one-off modifications to the underlying operating system” that we deal in, nicely transfers this control back to the user.” In other words, we can’t trust Apple or the people that make apps—so let’s just trust ourselves to control how iOS works. Freeman left us with one, final, disquieting note. Shrewd devs and others with the knowhow have been able to dig through app traffic to find out of they’re shoveling around your address book. But there’s no easy way to do this—and if a dev really wants to sneak your data through the door, there’s technically nothing we can do to stop him: “There are tons of complex tricks that can be used to smuggle both information in network traffic and computation itself.” It’s a problem fundamental to computer science—once the data’s in a dev’s hands, he can conjure it away, too small to be noticed by App Store oversight in churning sea of other apps. Unless Apple keeps him from getting that information in the first place by letting us all make informed decisions with our phone and the private life poured into it. Your move, iOS. After less than two years in business, Pinterest is already one of the most popular social networks in the world, as measured by engagement, according to data from comScore, via BI Intelligence. As you can see here, it’s ranked just below Facebook and Tumblr as the most popular site to hang out on. One other thing of note on this chart is Twitter’s low engagement rate. It’s somewhat surprising, but we’d guess it’s a mix of factors. 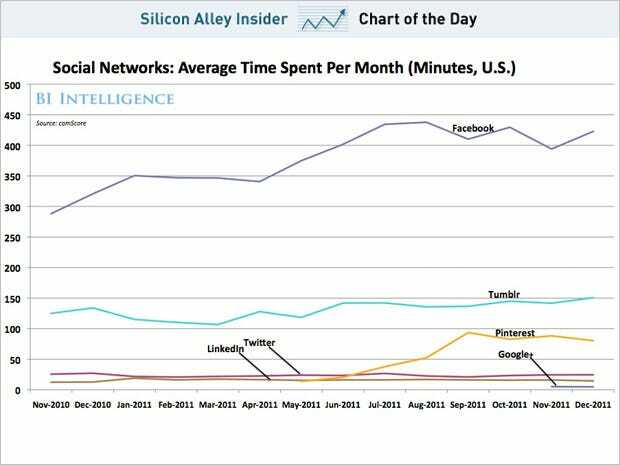 One being that mobile app usage is big for Twitter. The other being that clicking on links on Twitter takes you off of Twitter, unlike the other sites which encourage you to click to content they host. The lower bonus situation on Wall Street isn’t just for the bankers, but for the companies that service the bankers as well. Since Bloomberg LP failed to meet its quota for selling its famous terminals, everyone at the financial media giant will receive lower bonus payouts, the New York Post reported citing an internal memo. That means your favorite Bloomberg News reporters and Bloomberg TV anchors will take home a lower paycheck, according to the report. 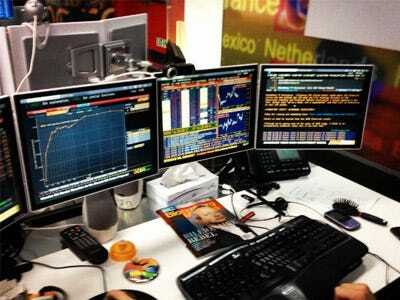 If you’re not already familiar with the Bloomberg terminal, it’s basically a computer that’s targeted toward financial professionals so they can message other users, obtain real-time market data, news and stock quotes among many other functions. According to the Post, there are currently 310,000 terminals that are being used worldwide. However, the company only added 13,672 in 2011, which was short of its internal sales goal of 15,000. So if they sold 1,328 more they wouldn’t be having this lower payout problem. Of course, it’s not exactly the best environment out there on Wall Street. On a side note, revenue at Bloomberg climbed $720 million, or 10.5%, to $7.59 billion, the Post reported. We knew this was coming, but now it’s more official-ish. Samsung is the world’s biggest smartphone dealer, beating Apple soundly in the third quarter of this year, according to data compiled by Strategy Analytics. Strategy Analytics says Samsung “shipped” 28 million smartphones versus Apple’s 17.1 million. Tiny caveat: In its earnings release Apple says it sold 17.1 million smartphones. We don’t think Samsung is stuffing 11 million smartphones in the channel to take the top spot, but it’s worth making a note of the distinction in language. 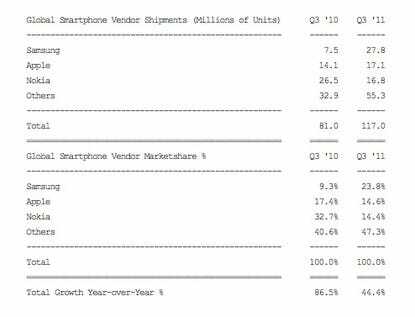 Apple was the top smartphone dealer in Q2, but it had a down quarter as consumers waited for the iPhone 4S. It’s unlikely to return to the top spot unless it has a mammoth fourth quarter. And for all the Apple bulls out there who will predictably say, “So what, Apple has all the profits.” You’re right! Apple earns considerably more more money on the iPhone than Samsung earns on smartphones. However, as we’ve pointed out over and over: This is a platform war. The more success Samsung has with the Android platform, the worse it is for Apple and iOS. And the more phones Samsung sells, the fewer iPhones Apple can sell. Blockbuster? We knew it was dying, courtesy Redbox, Netflix and the changing ways people consume their entertainment, but when will it finally expire? Probably next year, according to one analyst and the company’s own balance sheet. Updated. It’s a balance sheet that’s continually losing money, with the latest blow coming last quarter, when Blockbuster bled $65 million, reported 24/7 Wall St analyst Douglas A. McIntyre. Life’s become so dire, in fact, that Blockbuster is mulling Chapter 11 to eliminate debt. While the remaining 6,000 stores is nothing to sneeze at (my late hometown one not amongst them), there is precedence for massive, simultaneous closures in rival Movie Gallery. That company had 2,400 stores, you see, and it shuttered them all back in February. Ending on a positive note, the company could have a Redbox/Netflix hybrid future with its existing supermarket kiosks and mail service. So here’s hoping that happens, some people can keep their jobs, and Blockbuster’s predicted “demise” in 2011 is merely a metamorphosis into something a bit leaner and meaner. Competition is good, and all that. [W]hen considering the future of Blockbuster kiosks, Blockbuster doesn’t actually own any of kiosks. NCR owns and operates all of them. Blockbuster just gets a small licensing royalty for them. So, Blockbuster definitely doesn’t have a chance at sustaining itself on those kiosks. It isn’t just Verizon’s Lowell McAdam with fascinating commentary at this Barclays Capital tech conference going down in New York this week. 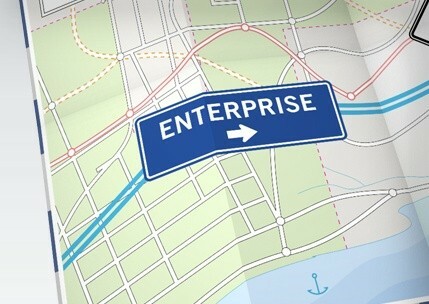 Ron Spears, who leads up AT&T’s Business Solutions division, had some notable things to say about enterprise mobility — specifically, the iPhone’s role in taking businesses to the road, a magic trick typically associated almost exclusively with BlackBerry over the past ten years. Basically, Spears says that he’s seeing extraordinary uptake on the business side with the iPhone since 2008 and the introduction of the platform’s first enterprise-focused features; in fact, he claims that “four out of every 10 sales” are to enterprise users these days and that it has all but caught up to BlackBerry for the kind of modern, tight, full-featured security that your average IT department needs. On a related note, Spears says that he hasn’t “seen the Android platform yet in the enterprise space,” but that he figures it’ll evolve over time to become “hard to ignore” to the enterprise segment. Of course, considering that AT&T has virtually no presence in the Android market at the moment, we’re not surprised that he’d take a lukewarm tack — so here’s hoping that changes fast. Follow the break for more highlights of Spears’ comments. AT&T: 40 percent of iPhon! e sales are enterprise, Android ‘built with a very specific focus to consumers’ originally appeared on Engadget on Thu, 27 May 2010 17:42:00 EDT. Please see our terms for use of feeds.